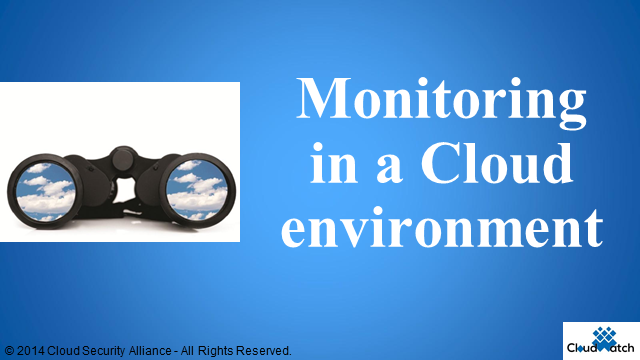 Monitoring resource consumption in a Cloud environment is becoming an increasingly important research topic in order to provide optimal management of both the underlying Cloud infrastructure and executing applications. Clouds are complex environments composed of many different entities and layers. Each of them may be provided with mechanisms offering various management actions. Different situations call for different actions often simultaneously. Indeed, isolated or contradictory actions may negatively affect Cloud application quality and Cloud infrastructure performance. This means that correctly selecting and effectively combining these operations in a given situation is a critical challenge of Cloud computing that only tight monitoring can address successfully. In this webinar with CloudWatch, representatives of three European Union sponsored projects will discuss their findings in cloud monitoring. Topics will range from multi-action performances to network monitoring and operational monitoring in a Cloud federation context. Listeners to the live event will be given the opportunity to ask questions to our experts.